KiptonART Blog: A Night to Make Your Soul Pop! 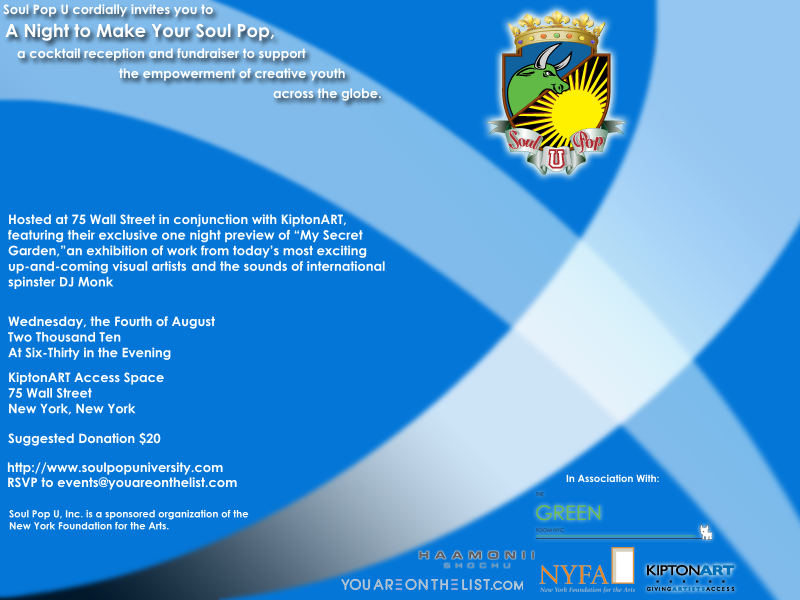 Next Wednesday, August 4th, Soul Pop University presents "A Night to Make Your Soul Pop", a cocktail reception and fundraiser to support the empowerment of creative youth across the globe. Hosted at 75 Wall Street in conjunction with KiptonART, featuring our exclusive preview of the new exhibition, "My Secret Garden". Find out more about "My Secret Garden"
Learn more about "A Night to Make Your Soul Pop"